By @SimonCocking. We caught up with Alex Gibson Senior Lecturer in Marketing DIT, and organiser of the annual ARVR Innovate Conference which Irish Tech News has covered every year. You can buy tickets here. 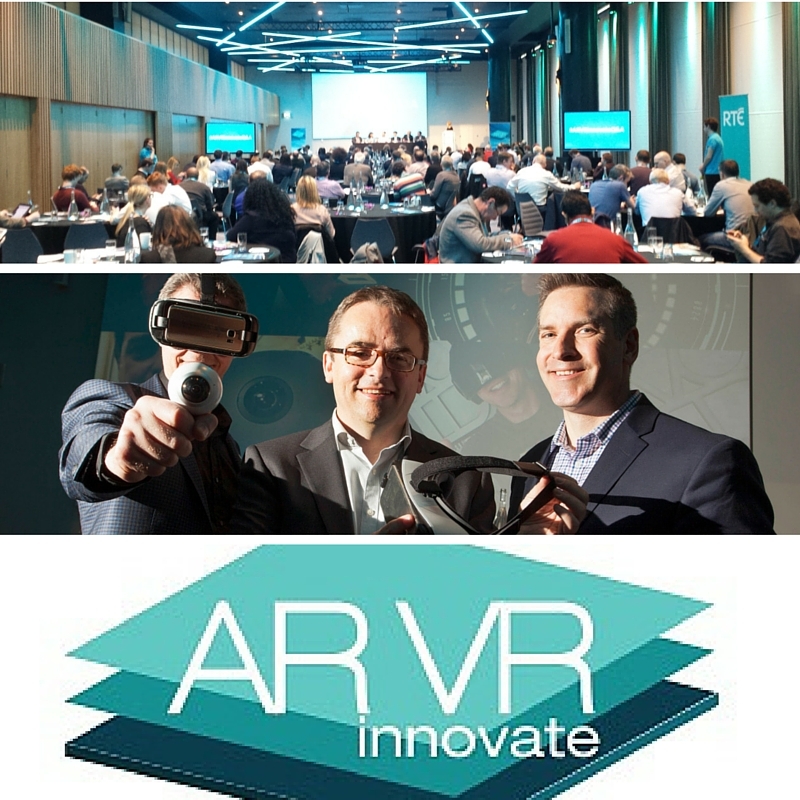 ARVR Innovate is on 11 May 2017 from 9.00am – 5.30pm, RDS Dublin. This is the fourth year of the ARVR Innovate conference, so given the hype of the sector, it’s practically a veteran at this stage. The lack of a space for real debate on the business and marketing side of AR initially prompted my interest – the first couple of conferences were focused on the marketing community, but it has broadened significantly since then. Last year we saw many delegates come from outside Ireland, so that is something I hope we can build on in the future. Personally I continue to be active in research in AR and VR with my role in DIT where I lecture in marketing. I have seen in the tourism area in particular how VR can be a fantastic tool to promote a destination. A great example would be the Fáilte Ireland Wild Atlantic Way 360 experience – we recently did some research on this in Dublin and Belfast among visitors to the Holiday World show, and the reaction exceeded even what I expected would be the case. We’re excited to be moving to a new venue this year – RDS Dublin, offering much more space for interaction and demos. Many more speakers international and domestic, two stages this year, and we will have a great expo area – a chance to try out AR and VR tech in sectors such as construction, engineering, marketing and gaming. DAQRI will be bringing their Smart Helmet and of course there will be lots of HTC Vive Oculus, Hololens and Samsung tech on display too. We will have panel discussions on areas such as 360 video, enterprise applications and funding. This year we have launched stARtup demozone – an new initiative offering free demo space and places for start-ups in the AR and VR space. I am very committed to help these fledgling companies. We’re seeing the beginnings of an Irish AR and VR ecosystem, and of course there are international start-ups coming over too such as AVRLON – a really innovative Berlin VR gaming company. We’ll also have a top panel discussion on funding in the space with Atlantic Bridge, Suir Ventures (Shard Capital), and NDRC all taking part.